Welcome. 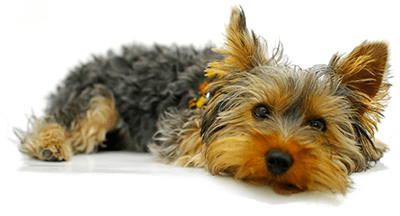 If you’re visiting my website, chances are you are frustrated with your dog’s behavior. And you want it fixed NOW. My names is Kristyn Hayes and I’m your local dog trainer for Phoenix, Mesa, Tempe & the East Valley. I have successfully trained hundreds of dogs throughout Phoenix, Mesa and Tempe & the East Valley and I am confident I can train yours. We train owners not dogs. Neither you nor your dog are doing anything “wrong”. It’s a simple case of miscommunication. Dogs learn to communicate with each other when they are born in a pack at their mother’s teat. We then bring them into our households and wonder why we can’t communicate with them in English. 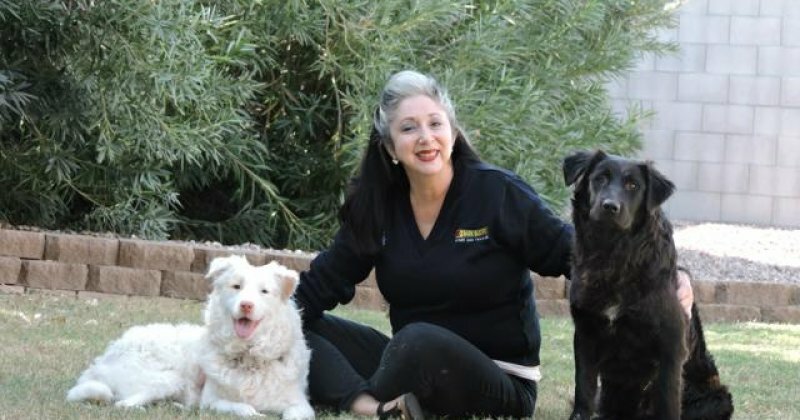 Instead, Bark Busters Home Dog Training will teach you to communicate with them in a way that is natural to the pack – using voice tones and body language. Our dog training methods are positive. Bark Busters Home Dog Training does not believe in using shock collars or prong collars because these often cause aggression. Additionally, although treat training may work in the short term, you don’t always have a treat when you want your dog to behave. Instead, Bark Busters Home Dog Training uses all positive, natural, humane dog training methods. Our techniques uncover the why your dog is acting the way he is. When we get to the root of the behavior we can overcome it. “You’ll see amazing results after the first lesson. After our first 2-hour lesson, you’ll begin to see significant changes in your dog’s behavior. If you reinforce the techniques 10 – 15/minutes a day, you’ll see the relationship evolve in ways you never thought possible. “I saw immediate changes in my dog’s obedience and behavior. She is a dog whisperer. My 3-year-old even said she is amazing.” Emily L.
Our dog training methods work for any issue, any age, any breed. Whether you have a chihuahua or Great Dane, a puppy or a senior dog, our dog training methods will work. Whether you have a purebred, rescue dog or mixed breed, we love them all! I can help your dog stop misbehaving! The only complaint I receive from most of my clients is they wish they had called me sooner. Don’t delay. Your dog can go from misbehaving to obedient in no time! “Kristyn immediately saw the problems I was having with my 14-year-old Lucas, my chocolate Lab, and continues to address them with each visit! I only wish that I would have contacted her sooner.” Helen R.